When Should You Replace Winter Tires? If you’ve had your winter tires for a couple of seasons, this year you might be wondering if there’s enough tread depth left for them to do their job: push away slush and snow, bite ice and hold corners on slippery roads. Winter tires are workhorses, and the more tread depth you have, the better they’re able to perform. At what tread depth do they start to lose their ability to brake and corner well on snow and ice? When should winter tires be replaced? And how do you check tread depth anyway? In 2016, Kal’s Tire Testing set out to learn exactly how tire wear affects safety performance and handling. 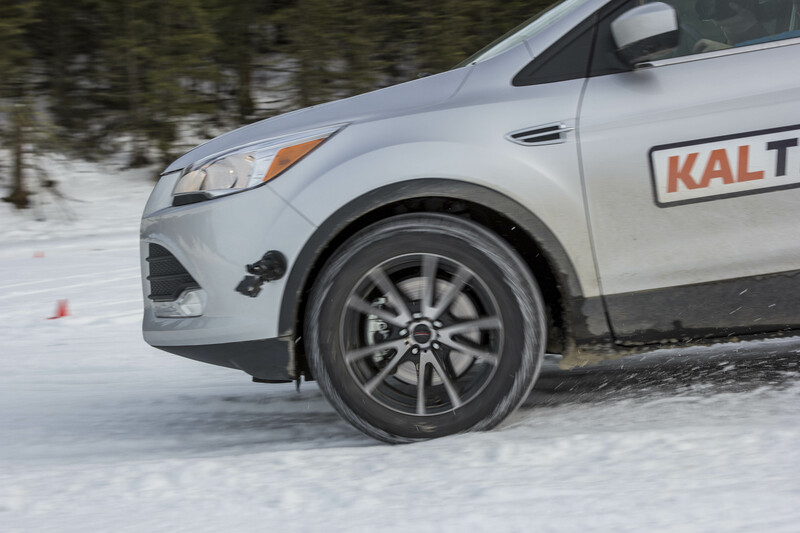 The independent testers evaluated the performance of four tire categories (premium winter, economy winter, all-weather, and all-seasons) at five tread wear levels—from new all the way to 100 percent worn—and through four tests: ice and snow cornering, and ice and snow braking. In this post, we’re going to focus on the two winter tires (but be sure to read our post What You Need to Know About Worn Tires In Winter for the full breakdown of what we learned across categories). 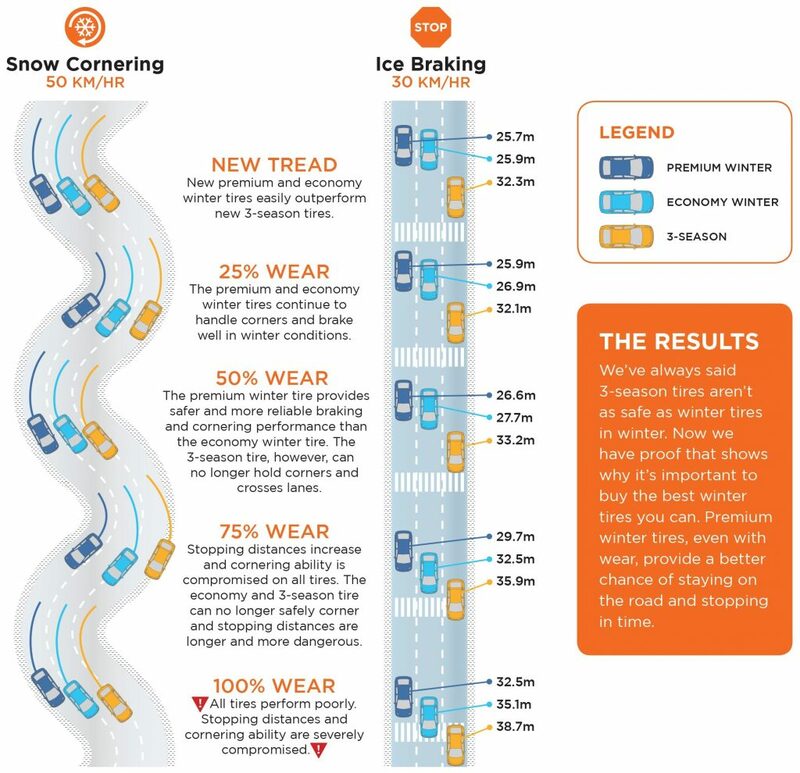 Here’s a graphic that illustrates how ice braking and snow cornering performance changed at each wear level. Take a closer look at what happened from 50 percent wear to 75 percent wear. Even for the premium winter tire, stopping distance increased by 3 metres. For the economy tire, it took nearly 5 m longer to stop. Braking performance declines significantly between 50 and 75 percent wear. Why? Winter tires feature an aggressive tread pattern designed to bite into snow and push away slush. 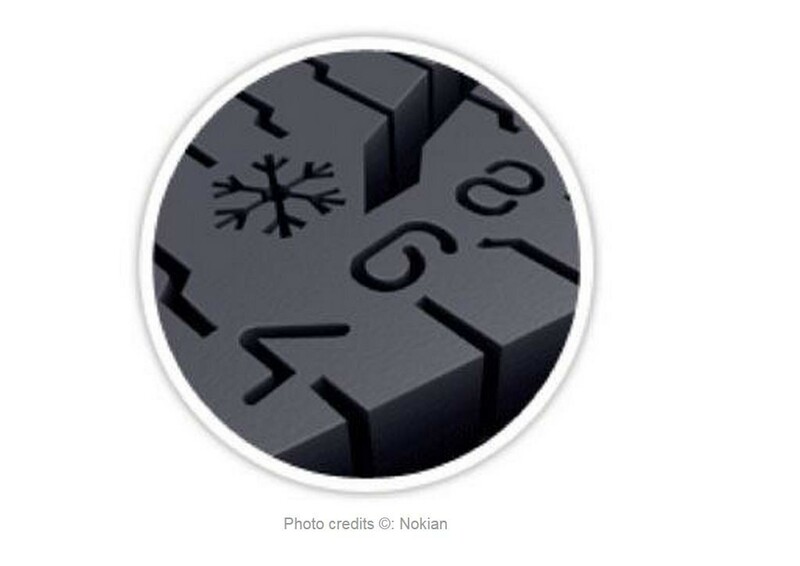 The rubber compound is also designed to stay soft in cold temperatures for reliable grip in at 7 C and below. The more worn down a tread is, the smaller its biting edges. Given what we found out about what happens to tires when between 50 and 75 percent wear, what we say is, For reliable braking and cornering performance on snow and ice, replace winter tires when they’re half worn. Transport Canada says tires worn close to 5/32” (4 millimetres) should not be used on snow-covered roads. According to most manufacturers, and even the law in most provinces, your tires should be replaced when the tread depth reaches 4/32” in the winter. If your tread depth wears to those levels, your tires are considered bald and a safety hazard. HOW DO YOU CHECK THE TREAD DEPTH ON YOUR TIRES? Read the scale. If you’ve got a number between 7 and 12/32” – you’re good for now! Any less, and you’ll be able to improve your winter braking and cornering with a new set. Want to leave the tread depth checking to the experts? 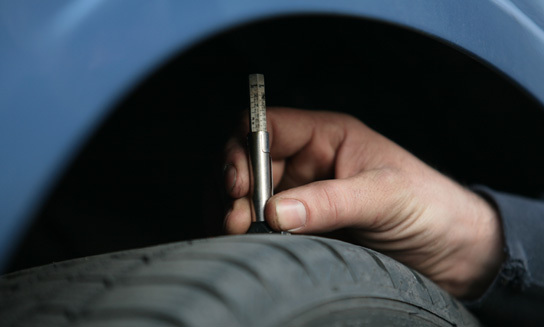 Visit one of our Kal Tire locations near you, and we’ll gladly measure your tread depth and give a recommendation.